“There are two great wines in the world: Barolo and Champagne,” Antonio’s dad told him as a child, igniting what would turn out to be a lifelong passion. Born in Caracas, Venezuela, Antonio's fascination with wine started at an early age. His parents retailed Italian wines, while his maternal grandfather had a deep love for Bordeaux, Burgundy and the Rhône. Antonio was reading avidly about the world's major winemaking regions as a teen and wrote his first articles on Burgundy and Bordeaux for his high school French class. As a teenager, though, Antonio was interested more in girls and guitars than academics. Three years of playing jazz guitar in his high school’s big band led Antonio to enroll in Boston’s prestigious Berklee College of Music, where he studied jazz composition and guitar. During his time at Berklee, Antonio’s influences included John Coltrane, Miles Davis, Pat Metheny and John Abercrombie, among many others. A prolific composer, Antonio led a number of ensembles in performances of his original music. For two years, Antonio played electric, acoustic guitar and mandolin in Berklee’s Country Music Ensemble. The four years at Berklee proved to be critical in shaping Antonio’s approach to understanding and appreciating wine, and his vision of how writing about it could be: a fundamental approach of recognizing that quality can be achieved across a wide range of styles. Burned out from four years of non-stop writing and performing, Antonio did what all artists do at some point…wait tables. Antonio became highly exposed to the wines of California and had the opportunity to sell early vintages of producers who would go on to receive the highest critical acclaim, including Alban, Harlan Estate and Shafer. Antonio then took a temporary job at Putnam Investments in Boston. A few years later Antonio was sent on assignment to Milan, Italy, becoming the youngest expatriate at the firm. From 2000 to 2003 Antonio travelled across Italy meeting clients and taking the opportunity to experience first hand the cultural vastness that is Italy. Although Antonio had grown up in a family that appreciated good food and wine, suddenly those elements were an essential part of everyday life. While in Italy, Antonio spent virtually every free moment in the cellars of Piedmont, Tuscany and Friuli. A return to the US, and a desire to strengthen his academic credentials led Antonio to enroll in the MBA program at MIT Sloan School of Management. Ultimately, though, the allure of Italian wine and culture was missing. Inspired and motivated by the encouragement of his closest friends, Antonio began to write a newsletter focusing on the wines of Piedmont in 2003, bringing together a lifetime of total immersion in Italian wine, the concepts he was learning in the classroom, deep influences from his time overseas and a broad vision informed by years of studying and performing music. Ultimately, Barolo resonated more deeply than options and derivatives, and Piedmont Report made its debut in 2004. Within weeks Piedmont Report had subscribers in more than 25 countries and quickly established itself as the premier guide in the world for Piedmont wines. 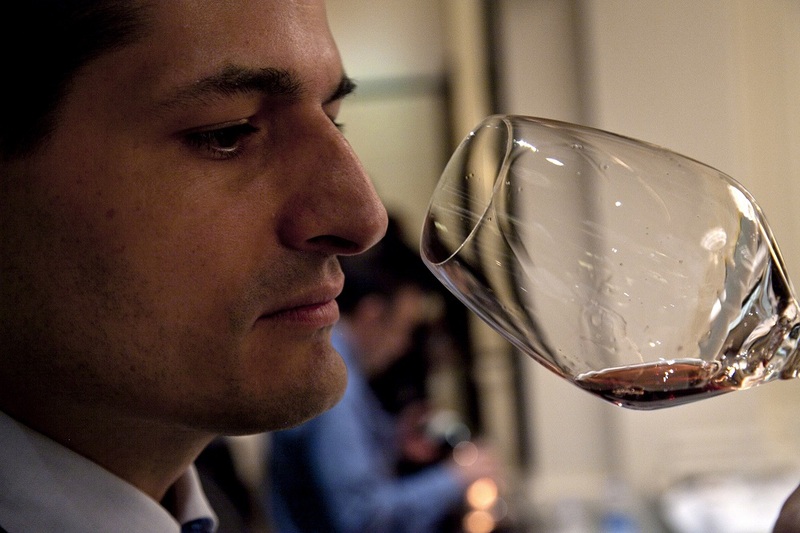 Antonio joined Robert Parker’s The Wine Advocate as the Italian wine critic in 2006. Champagne was next in 2008, confirming the dual passions that had first ignited Antonio’s passion years before. In 2013 Antonio left the TWA to start Vinous. At the time of his departure, Galloni was the lead critic at The Wine Advocate, and had authored 1/3rd of the reviews published by TWA in 2012. Galloni also ran the world’s most followed bulletin board on Italian wines and spearheaded TWA’s production of video content. He developed tailored public events & seminars such as the highly anticipated “La Festa del Barolo,” vertical tastings focused on the benchmark wines of Italy, and numerous charity dinners.